Louisa joined the Rokstone team as PA to Becky Fatemi and Office Manager. 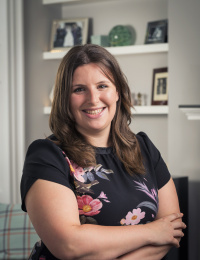 Having managed the administrative teams of a Large London Estate Agency across their North London divisions Louisa has a wealth of knowledge and customer service experience under her belt and keeps Rokstone running smoothly! Louisa loves working in Marylebone, allowing her to indulge in her love of cricket with Lords just around the corner!